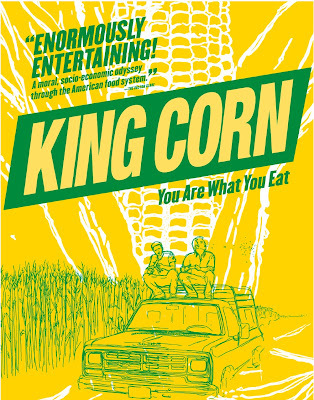 It's about the role of corn in the American diet and the industrial food system. It's really friendly and nice, too, following two guys who move to Iowa and follow the life of an acre of corn. It's going to premiere in NY October 12th, then screening practically everywhere! The work, which is mostly running, is strangely satisfying. It's weird how you can enjoy running someone else's errands and brainstorming and etc. soooooooo much more than your own! I think this movie will be a huge hit and everyone should see it. This is a good year as I get the honor of working for something I believe in! Come to my party in Tammytown!